The Philippines has the highest number of land and environmental defenders killed in Asia last year, making it the most dangerous country on the continent for those protecting their own community, the way of life, and the environment, according to international environmental and human rights watchdog Global Witness. 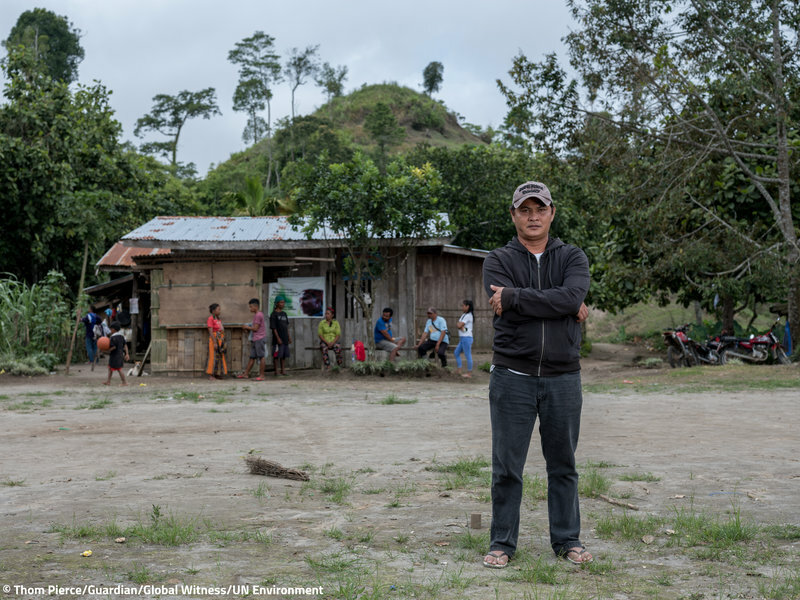 The watchdog reveals that in at least 207 land and environmental defenders killed (highest total the organization has recorded ever), 48 of them are cases in the Philippines, noting a 71 percent increase in the country since 2016. 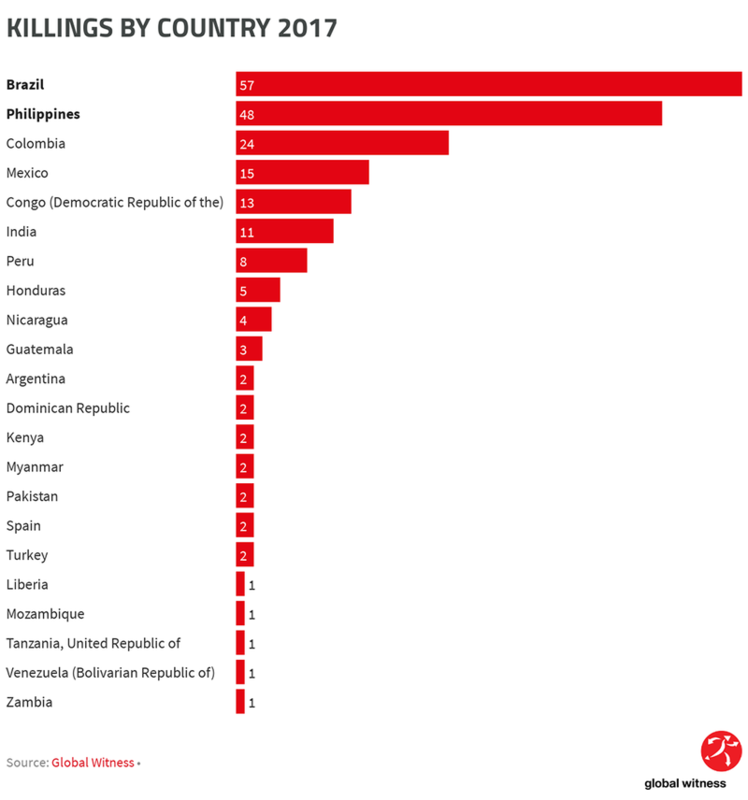 Globally, Brazil ranked first with 57 killings while the Philippines followed. Colombia takes the third spot with 24 killings and succeeded by Mexico with 15, Congo with 13, and India with 11. “The world is deadlier than ever for land and environmental defenders, with agribusiness the industry most linked to killings,” Global Witness stated on their press release which was published last Jul. 24. Activists protecting plantations of consumer staples like coffee, palm oil, and banana plantations are the most targeted by the attacks. “Local activists are being murdered as governments and businesses value quick profit over human life. Many of the products emerging from this bloodshed are on the shelves of our supermarkets. Yet as brave communities stand up to corrupt officials, destructive industries and environmental devastation, they are being brutally silenced. Enough is enough,” says Ben Leather, senior campaigner for Global Witness. In Lake Sebu, South Cotabato December last year, eight members of Ta’boli–Manobo people of Mindanao were massacred by the military forces after protesting the expansion of a coffee plantation. Five were wounded, 10 were missing, 200 had to flee. “Governments, companies and investors have the duty and the power to support and protect defenders at risk, and to guarantee accountability wherever attacks occur. But more importantly, they can prevent these threats from emerging in the first place, by listening to local communities, respecting their rights, and ensuring that business is conducted responsibly,” says Leather. But what if the government is purposely killing its own people?